Suhaila Salimpour's Certification Program includes five levels. Each level builds on the previous level, providing specialized training within a logical, cumulative sequence. Over the full course of study, students are trained in dance technique, finger cymbals, rhythm identification, history, music, culture, improvisation, performance, choreography, teaching skills, etc. By the time dancers reach Level 4, they are required to perform in the Salimpour School Certification Performance Recital. 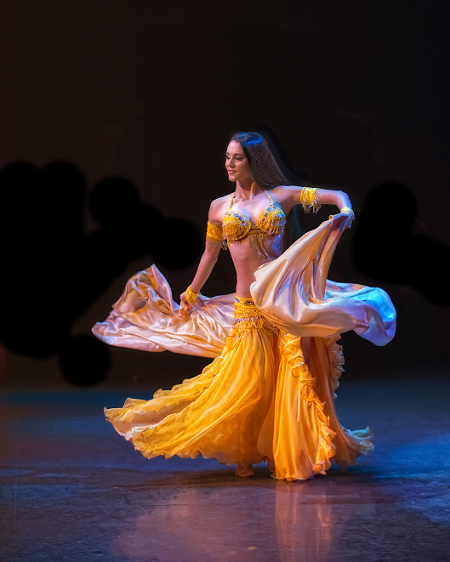 Each candidate must perform a total of eight choreographies produced by Suhaila in one non-stop set, followed by a personal choreography, and finally they must improvise to a live Arabic Band playing classical Arabic music. We have a very talented group of candidates performing this year. Join us for an exciting evening of dance and music!